Four days into the takeover of an Oregon government building, the armed militia in charge says it has no plans to back down any time soon. 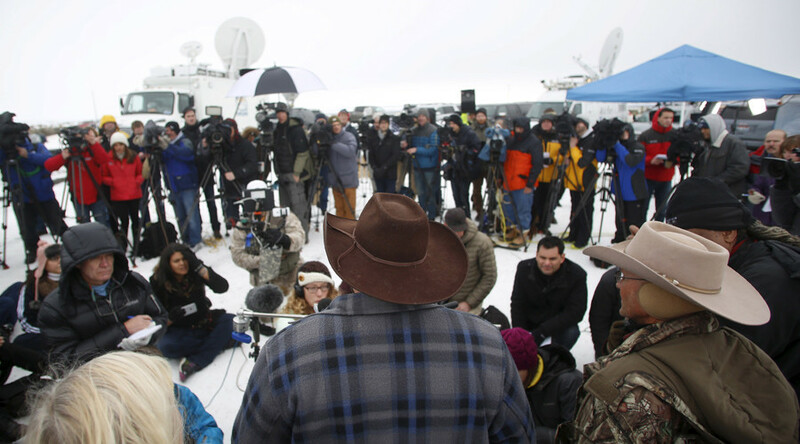 Lead by Ammon Bundy, son of the anti-government Nevada rancher Cliven Bundy, the group says it could stay for years. RT’s Egor Piskunov was on the scene on Tuesday and said that, “they’re planning to stay awhile and they want to ‘unwind the whole process of how this land was distributed.’” The land in question belongs to the Malheur National Wildlife Refuge, a nature preserve established in 1908 by Theodore Roosevelt. The militia protesters argue the land should be delivered back to locals. The group broke into the refuge Saturday night. When asked how long they planned on staying, one militia man responded, “I live here.” The man also declined to say how many people are living at the government building. This declaration comes after one member of the militia, Blaine Cooper, took to Facebook to request cold weather socks, snacks, energy drinks, snow camo, and more. The plea for supplies caused a variety of reactions from Twitter. Planning a takeover of a park for months & didn't plan for snacks? !-Not only are ya bad at militia-ing, you're bad at cub scouting. Ammon Bundy and his supporters came out to Burn, Oregon in response to the resentencing of Dwight, 73, and Steven Hammond, 46. The father-and-son ranchers were found guilty of arson in 2012 for starting a fire on their own property that burned into federal property. Dwight was sentenced to three months in prison while Steven was sentenced to, and served, one year and a day. However, the Department of Justice appealed their sentence and forced the men to return to prison to complete five-year minimums. Both Dwight and Steven Hammond have turned themselves in and their family attorney has told the county sheriff that Ammon Bundy does not represent the Hammond family or their interests.